Population growth in the Puget Sound region continues to exceed the national rate. With Bellevue’s population and employment growth, its projected the local real estate market will remain strong this year. 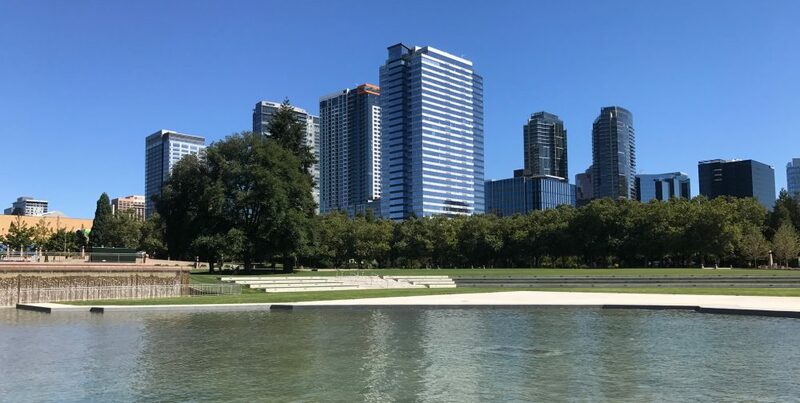 The continued development in Bellevue’s central business district, the addition of jobs, amenities and services, access to award winning schools, transportation and future light rail will all continue to make this a highly sought after place to live. For the past few years housing has struggled to keep up with job and population growth, creating a housing crunch and driving up prices. Inventory levels should pick up as we head into spring, but the increase won’t be enough to meet demand. It will continue to be a seller’s market this year with property values expected to increase 7-8% over the next 2-3 quarters. What does this mean for buyers? They will still need to position themselves to compete n this market. Start the loan process early, be fully vetted and approved for a mortgage, have patience and follow the advice of your loan consultant and Realtor®. Sellers will have the market edge again this year but homes still need to be prepared for the market with repairs completed, an appealing presentation and market-appropriate price. While cash offers will still be common, but sellers need to know a cash offer isn’t always the best offer. (Cash buyers should be vetted and funds verified to prevent delays in closing.) Buyers using financing are still a big part of the market; lenders, underwriters and appraisers will still be involved in the successful sale of many homes in our area. There is good news. There are condo and townhome communities planned in downtown Bellevue that will break ground in the coming weeks/months and others that are in the planning and design phase. I live and work in downtown Bellevue. A Realtor® and condo specialist, I keep tabs on what’s happening, and what’s about to happen, in the marketplace. Contact me for information about new communities and projects planned in and around the central business district. This entry was posted in buying a home, Condominiums, DOWNTOWN BELLEVUE, REAL ESTATE, selling a home and tagged affordable housing, business, condominiums, DOWNTOWN BELLEVUE, REAL ESTATE by Robin Myers. Bookmark the permalink.